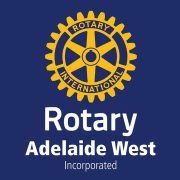 Rotary Club of Adelaide West Inc.
Sign in, if you're already a member of this group or Join Rotary Club of Adelaide West Inc.
Rotary Adelaide West Club is a group of people passionate about helping others in our local community, plus those interested in networking among a group of peers from Adelaide's Business Community. 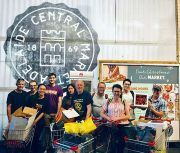 We run a balance of weekly meetings for full members of our Club; mixed with a range of projects and events throughout the year that our members run, assisted by people in the wider Adelaide Community. MEETUP is a great way for us to meet you. And we are hoping that the sorts of projects we get involved with will match your interests. OR perhaps you would like to suggest a new idea? That's how Rotary works worldwide. Passionate people driving ideas and projects forward. Don't be shy. 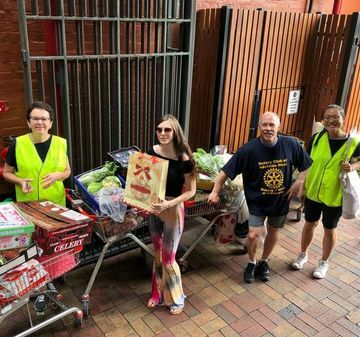 Rotary Adelaide West will be honest and upfront in saying that we hope we can encourage you at some point to visit one of our Thursday Lunchtime (1pm to 2pm) regular meetings at the SAGE Hotel, 208 South Terrace, Adelaide. And that you might down the track even consider becoming a full member of our Club. BUT we also understand if you would simply like to join in with helping with one of our projects. Please do telephone (08) 7444 5086 and have a chat with Glenda for more info. Every Rotarian worldwide started their life in Rotary taking a first step of having a chat with a Club. We're all just like you. Locals coming together. Forming friendships and enjoying working side by side.